Photoshop has set some standards for image editing tools. Today, you can find many Photoshop alternatives with a range of features and effects. These image editing tools are designed to provide you enriched experience. You can find almost all competitive features in these tools. These Photoshop alternatives work on advanced techniques and algorithms to provide you some unique editing features to make your picture look good. We have selected some of these impressive tools in this article. Let’s discuss their features in detail. Gimpshop works effectively whether you are professional or amateur. This is one of the best Mac photo editor tools. It offers various Photoshop features like layers, masks, channels, filters, level and even advanced pattern matching. This amazing tool helps you fix picture flaws, from the removal of unnecessary elements in your images like a red eye to complete foreground/background replacement. Its advanced tool settings allow you to customize your images the way you want it to be. It provides complete control over Photoshop-grade tools, brushes and plugins. Its Channel Mixer enables you to instantly optimize black & white images and easily cover color images into full spectrum black & white. It works on different file formats and supports common file formats like GIF, JPEG, TIFF, PNG, industry standard PSD and native XCF. Gimpshop’s backend is being ported with Generic Graphics Library (GEGL), which allows 32-bit processing, CMYK color, and non-destructive editing. Its Cage Transform tool uses an innovative algorithm to allow you to warp just parts of objects. Pixen is a unique pixel art editor designed for working with low-resolution raster art, like those 8-bit sprites found in old-school video games. Pixen offers all tools required by artists need in an intuitive, Mac-native interface. It offers features like patterns, color palette system, layers and high-zoom support. Pixen makes creating frame-by-frame animations fun and easy. It offers numerous patterns to use while drawing with line, pencil or eraser tool. You can select from multiple custom backgrounds like flat, checkered, striped background or even a custom image. Its Grid and Alignment crosshair helps you place pixels where you want them. While editing you can see a preview of the edited work in Preview window. Using this tool, you can assign a different tool to the right or left mouse button. It allows you to add and organize commonly-used colors into palettes. This is one impressive tool for easy and instant editing. This amazing tool offers multiple tools for easy editing including layer management and multi-touch support. It offers dynamic filters for everyone where it provides a very powerful non-destructive filters list for each of its layers. It offers more than 110 impressive filters. Using this tool, you can even touch your layers on a multi-touch trackpad. You can use gestures like Swipe for tools and layer control, Layer Zoom transformation, Layer Rotation, Pinch & Expand for magnification etc. It offers all its user interface in a single window. Here, available tools settings appear when you select the tool. You can easily hide the layers and filters list to access more window space for your photos. It is combined with full-screen presentation and retina display support. Seashore is a unique open source image editor for Mac OS X’s Cocoa framework. It features textures, gradients, and anti-aliasing for both brush strokes and text. It supports alpha channel editing and multiple layers. It is created around the GIMP’s technology and uses almost the same native file format. However, it aims to serve the basic photo editing needs of most computer users. It does not necessarily provide a replacement for professional image editing software. It offers an intuitive and user-friendly interface for easy editing. This is one of the best tools available for editing. Its key features include anti-aliased brushes, plugin support, gradients, transparency, layers and alpha channel support. It supports various file formats like PNG, JPEG, XCF, TIFF etc. GrafX2 is another impressive image editing tool that is available for free. This open source platform supports bot Mac and Windows. It offers numerous useful features to help you edit your images your way. It offers some useful features like transparency, palette editor, brushes and other effects. Apart from the regular brush, effects and other tools, it is designed to draw in indexed color mode. It supports multiple platforms including Linux, Haiku, AmigaOS, MorphOS, FreeBSD, AtariMiNT, DOS, Windows and Mac for easy editing. It offers multiple useful features for easy and improved editing on your system. This is one impressive tool that makes your editing work fun and easy. You can use these Photoshop alternatives for easy and improved editing results. These apps are designed to offer you extensive features to make your editing work easy and instant. These tools offer all competitive features to help you edit your images the way you want them to. Using these tools, you can transform your regular images into a piece of art. Photo editing apps have helped users editing their images in an impressive way. Photoshop has set some standards when it comes to editing images. 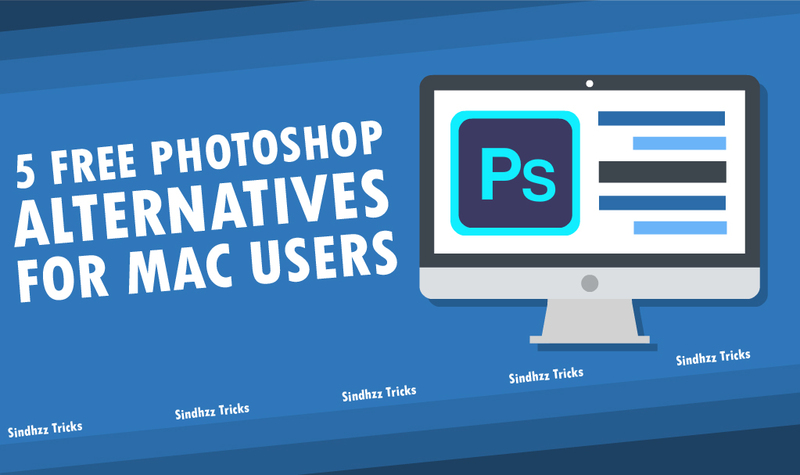 Let’s discuss few free Photoshop alternatives in this article. OSUNSEYEYI of IDOAHA Land in AFRICA. that we can get you through. WE TREATS BUT GOD HEALS. This is a scammer called Benson Obozele Jefferson. He has NO powers he is only out to steal your money.